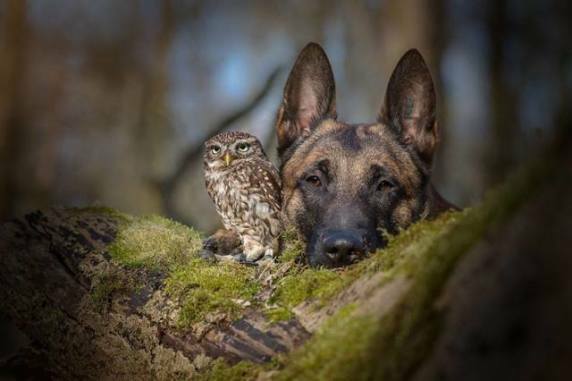 This my bests friend, Owl. Him is cool. He teached me to embrace ther dark side. So nows I enjoy my black furs more.